The first dinner Ben cooked for me was a frozen Stouffer’s lasagna. 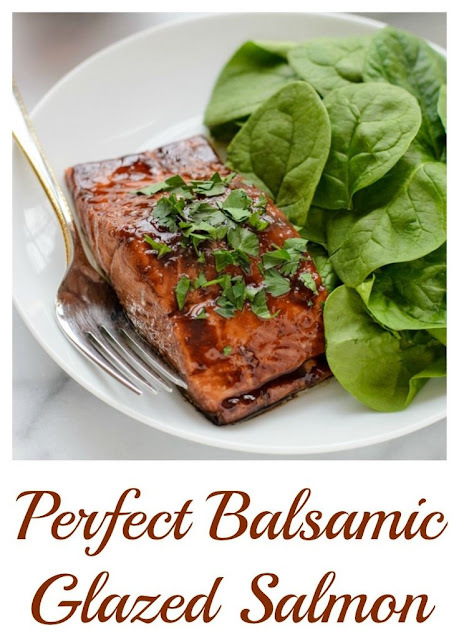 The second (and third and fourth) were Balsamic Glazed Salmon. I married a man who is nothing if not perceptive. It is an established fact in our household that if I didn’t cook, we would return to Ben’s bachelor diet of frozen pizzas and microwavable taco packets. Until that second dinner, I never would have suspected that, beneath the stash of frozen pot pies and instant noodles lay a man capable of cooking a meal that has become one of my absolute favorite dinners and is beautiful too.